Chili. Chocolate. Bourbon. Cake. Need I say more? 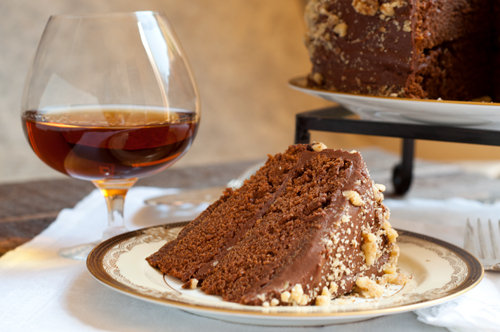 This recipe is for the classic dense chocolate cake featured for special celebrations at The Fort in Morrison, Colorado. Holly Arnold Kinney’s dad Sam Arnold was behind the restaurant and now Holly, who happens to be a neighbor of mine, runs the show. Because this cake is best the day after it’s made, it’s a great option for preparing ahead of time for Thanksgiving or Christmas or any other celebration. The recipe is below, but first I want to share some exciting news with you. 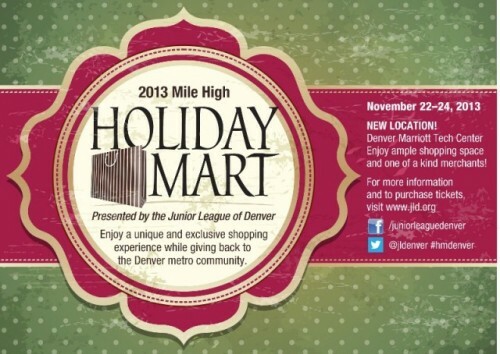 Every year the Junior League of Denver hosts a huge holiday market for gift shopping. It’s this Friday, Saturday and Sunday, at the Marriott in the Denver Tech Center. 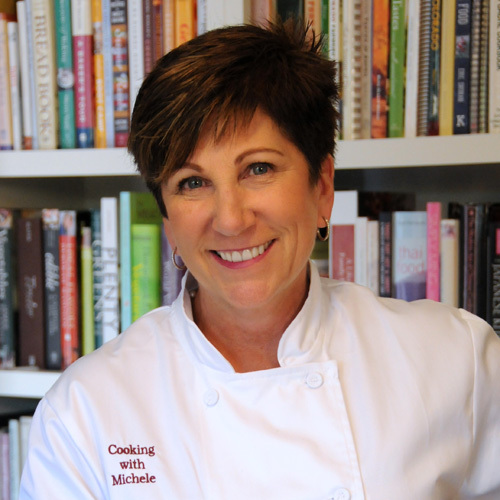 And new this year, Colorado Authors’ League (I am a member) is hosting a double booth that will carry all sorts of books from our authors, including my Tasting Colorado: Favorite Recipes from the Centennial State. Authors will be in the booth signing books during shifts all weekend, so I hope you’ll stop by when I’m there and pick up a few copies of the book for holiday gifts. Here’s my schedule, and I hope to see you there! Preheat the oven to 350 degrees and place a rack in the center of the oven. Butter two 9-inch round cake pans; lightly dust the sides of the pans with flour, tap out the excess, and line the bottom with circles of parchment paper. Cook the chile powder in 1 cup of the water in a medium saucepan over medium heat until simmering. Remove the pan from the heat, stir in the vanilla, and set aside. Using an electric stand mixer with a wire whip attachment for best results, combine the flour, cake flour, sugar, baking soda, salt, and cocoa and beat on low speed until well mixed. Add the softened butter to the dry mixture and beat thoroughly on medium-low speed. The mixture should have a uniform grainy texture. Increase the speed to medium and gradually add the remaining 1 cup of water and the buttermilk. Add the eggs, one at a time, beating well after each addition. Slowly add the hot water-and-chile mixture to the batter and continue to beat just until well combined; be sure not to over-beat. Pour the mixture equally into the pans and bake until a toothpick inserted in the center of each layer comes out clean, about 35 to 40 minutes. To cool, set the pans on a wire rack for 15 minutes, and then turn the cakes out onto the rack. Remove the parchment paper and immediately invert the cakes so that the risen tops donâ€™t flatten. Let the layers cool completely before frosting. For the frosting, combine the butter and cocoa in a large saucepan and melt over medium heat. Remove from the heat and stir in the buttermilk. Add the powdered sugar, a little at a time, stirring with a wire whisk between additions. Stir in the bourbon and vanilla and continue to whisk until the frosting is smooth and glossy. The frosting will stiffen as it cools, but in warm weather you may need to refrigerate it. Cool to a spreadable consistency. To assemble, if necessary, trim the tops of the cakes so that they are level. Place one of the cake layers on a 9-inch round cardboard cake circle. Spread 1 cup of the frosting over the layer. Sprinkle 1 cup of the chopped walnuts evenly over the frosting. Place the second layer of cake on the frosted base. Use the remaining frosting to cover the top and sides of the cake. Press the remaining walnuts into the frosting, covering the sides and top of the cake. Cocoa powders like Hersheyâ€™s, NestlÃ©, or Ghiradelli are non-alkalized. Do not use Dutch process cocoa in this recipe. This cake is best when made 1 to 2 days before serving, as it gives the flavors time to blend.